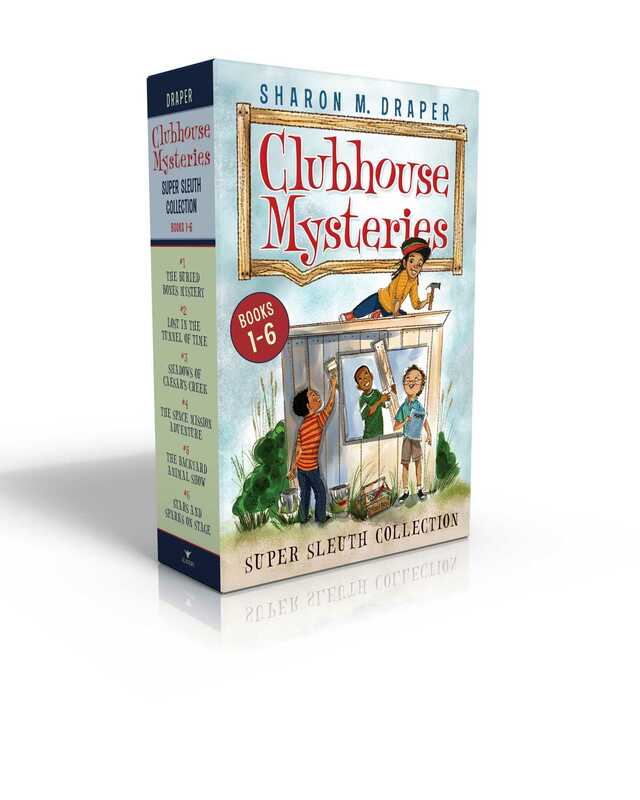 Join Ziggy and his friends as they solve mysteries, crack codes, and help the community in The Clubhouse Mysteries—now available together in a collectible boxed set! Best friends Ziggy, Rashawn, Jerome, and Rico decide to form a clubhouse, complete with secret codes, meetings, and special treasures. Join them as they solve mysteries, find their courage and help their community in this fun and heartwarming series! In The Buried Bones Mystery, the boys build a clubhouse in Ziggy’s backyard, where they uncover a box of bones while digging to bury their secret treasures. But when the boys try to hide their treasures, they’re swept up in a mystery more intriguing—and scary—than anything they could have imagined. In Lost in the Tunnel of Time, the boys discover their hometown was a stop on the Underground Railroad and are excited to explore the part of the tunnel that is right under their school—but will they find themselves at a dead end? In Shadows of Caesar’s Creek, Ziggy and the rest of the Clubhouse gang decide to test their courage like the Shawnee youth did during a fun camping trip—but things don’t go quite as planned. In Space Mission Adventure, Ziggy is hoping to meet some aliens during a space camp tour, and when he discovers a mysterious shiny stone, his wish might actually come true! Ziggy and his friends rescue an orphaned fawn in The Backyard Animal Show, and are inspired to put on a talent show to raise money for the local wildlife rescue center. And in Stars and Stripes on Stage, the boys are determined to take home the grand prize at the school talent show—until they meet someone who might need it more.